On 12th October budding Pokémon masters will be able to explore first-hand the beautiful polygonal 3D environments of the French-inspired region of Kalos, where trainers rush around on roller-skates and a giant Ryhorn snoozes outside your front door. We caught up with Pokémon X and Y's Director Junichi Masuda and Chief Designer Hironobu Yoshida to find out more about the development and features of the upcoming title. Nintendo Life: It's lovely to meet you both today. Thank you very much for letting us play X & Y, we really enjoyed our time with the game. 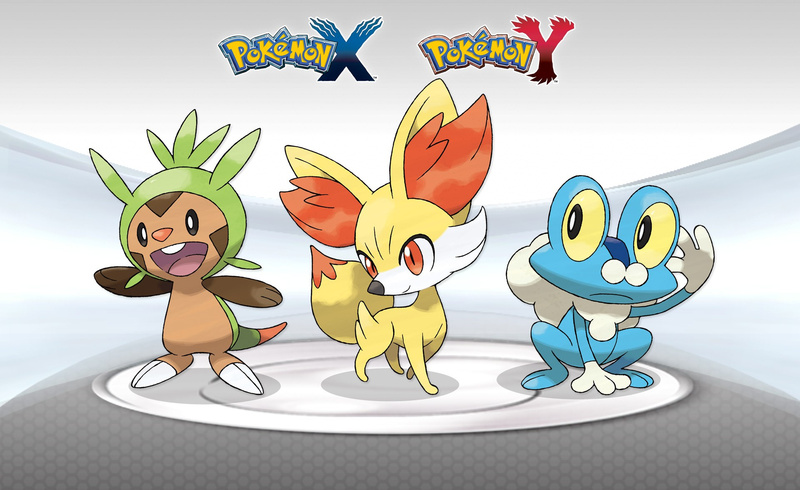 Let’s have a quick ice-breaker question, out of the three new starter Pokémon (Fennekin, Chespin and Froakie) which one would you pick? Junichi Masuda: The one I pick the most is Fennekin. During my play-testing I found myself always picking Fennekin as my first Pokémon. It’s just so cute and you feel like you really want to take care of it! NL: We're big Froakie fans too! Sorry Chespin, no love for you here today. So, why did you decide to name this generation ‘X’ and ‘Y’? Do they hold any significance beyond the design of legendary Pokémon Xerneas and Yvetal? Junichi Masuda: We actually came up with the titles before we even had the legendary Pokémon designs. The ‘X’ and ‘Y’ titles come from the X and Y axis and we used these as ways to represent different ways of thought, different opinions, but also where these axis overlap. The message that we wanted to send and the theme we had in mind was finding that common ground that we all share. Hironobu Yoshida: When it came to the legendary Pokémon design we knew that when viewed from far away we wanted them to look kind of like an X or a Y, so that was the main direction we went for. NL: In Pokémon Black and White 2 there was a key system, which helped you catch the Regis and gave you access to version exclusive content, such as the Black City and the White Forest. Will there be a similar feature in X and Y? Junichi Masuda: In regards to the key system that existed in Black and White 2 that was something that we implemented after we had the balance right in Pokémon Black and White, so we put that in to add in some more options as a sequel to the game. But as X and Y is a totally new entry we have added a lot of new changes, and completely rebalanced the game, so we didn’t really think about putting in a similar system this time around. 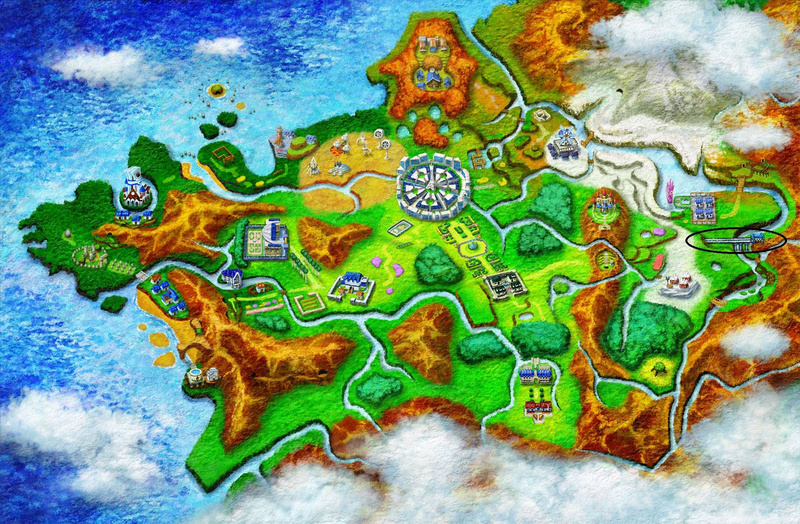 NL: The look and feel of Kalos is inspired by France; are there other countries which you’d like to base future Pokémon games on? 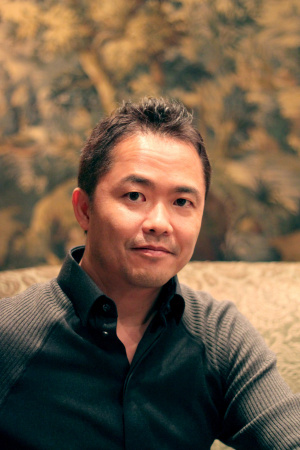 Junichi Masuda: We’re always thinking about places in the real world to get ideas and inspiration from. This time with Pokémon X and Y we focused on the theme of ‘beauty’ and we really felt that France matched that. The name ‘Kalos’ is actually an ancient Greek word that means ‘beauty’, so that ties in with the theme too. So inspiration for future regions really depends on what kind of theme we’re going for and finding a place in the real world that matches that. 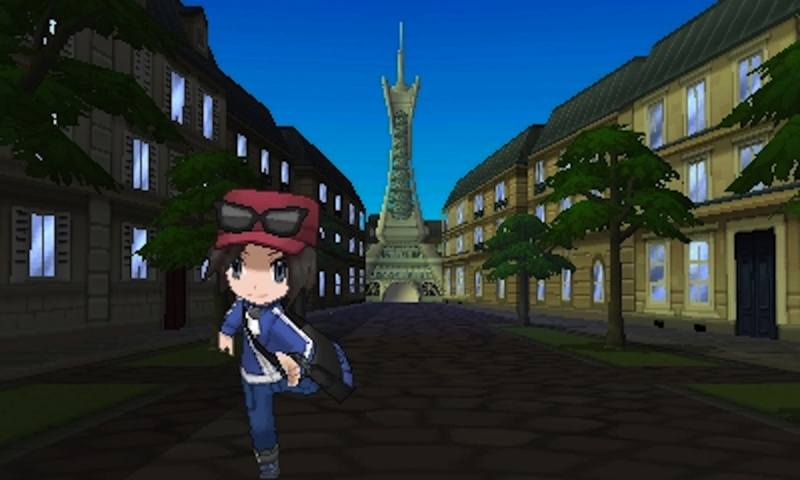 The theme of X and Y is 'beauty' and France matches that. 'Kalos' is actually an ancient Greek word that means 'beauty'. NL: What has it been like moving into fully 3D environments when you've spent so long making the core series in a top-down viewpoint? Junichi Masuda: This time with the move to full 3D you can freely manipulate the camera angles, which you couldn’t do before. Being able to move cameras around freely and frame the scene just how we wanted added a lot of new possibilities, but at the same time a few challenges. It was difficult trying to get that right. For example, we can show scenes from any angle, but due to hardware limitations we can’t show things that are really far away, the rendering power isn’t quite there so there’s a drop in performance. Because of this we had to find ways around this, for example if we wanted to show a town from far away we can do that camera angle but we have to maybe use a lower polygon model for the background. So there’s a lot of new challenges that we have to deal with by having this new freedom with the camera angles. NL: Has the move to 3D and increased challenges meant that you’ve had to increase the size of your development team at Game Freak? We had around 200 people working on the development of X and Y, as well as localisation staff. In the credits around 500 names that appear! Junichi Masuda: Yes, definitely, we have a much larger group of people working on the games this time around. On the actual development of the game we have around 200 people working on X and Y, and then with the global simultaneous release of the titles we have more localisation staff and other people to make that possible. I think in the credits there is around 500 names that appear. And even outside of those people, there are some involved in the development of the game in some way! NL: In X and Y there are a new group of villains called Team Flare – could you tell us a little bit about them? Junichi Masuda: So this time around I think that the villainous team are a bit more charming, and funny than maybe other groups in past games. But with the global simultaneous release of X and Y I really want people to experience Team Flare for themselves, and find out exactly what they’re up to. NL: [laughs] Okay, let's try to keep this spoiler-free then! We absolutely love the roller-skating and how you can ride about on Pokémon in the new game! What are your personal favourite aspects of X & Y? NL: Are there any battle or stat benefits to regularly using Pokémon Amie mode? Junichi Masuda: Yes, by doing this you build a more personal relationship with your Pokémon, and it has some gameplay benefits. The better friends you become, the more your Pokémon might start dodging moves in battle, or landing more critical hits. Hironobu Yoshida: From a graphics designer perspective I was in charge of creating the Pokédex for X and Y, so this is my favourite element of X and Y. This time we’ve been able to move into 3D so the actual Pokémon model will appear on the Pokédex screen and you can freely move it around, and look at the Pokémon from any angle. NL: Were there any extra features that you wanted to put in X & Y that didn’t quite make the final cut? Junichi Masuda: Of course I have a lot of ideas every time around, so quite a few of them didn’t make it into the final game. It really comes down to balancing the ease of implementation and whether or not people will really enjoy that feature. NL: Is there an example you could give us? Junichi Masuda: Well… Now I have to think of something that, you know, won’t be used by competitors! [laughs] But one thing that I wanted to put in that didn’t quite make it was a translating machine for Pokémon cries, to find out what they’re saying. So you have this machine, and when a Pokémon cries out something, text would appear telling you exactly what that Pokémon is saying. Hironobu Yoshida: Really? I never knew! Junichi Masuda: Yes, I really wanted to put that in, but then thinking about the amount of text that we would have to include, with now over 600 Pokémon, it would be a really big task. This could be something that might appear in future games, but it sadly didn’t make X and Y. On page two we discuss the 2DS, Fairy type, Mega Evolutions and that rather intriguing Wii U teaser video.